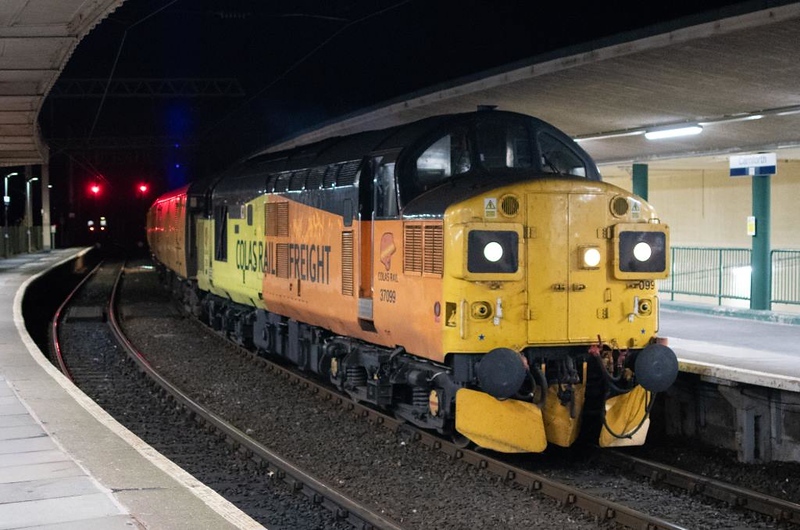 37099 Merl Evans & 37175, 1Q47, Carnforth, Tues 20 November 2018 1 - 1748. Colas's 1052 Derby RTC - Millom - Carlisle then Scotland. It had not left Derby until 1317 and was 104 late. The consist was 6264, 977983, 5981 & 977868.